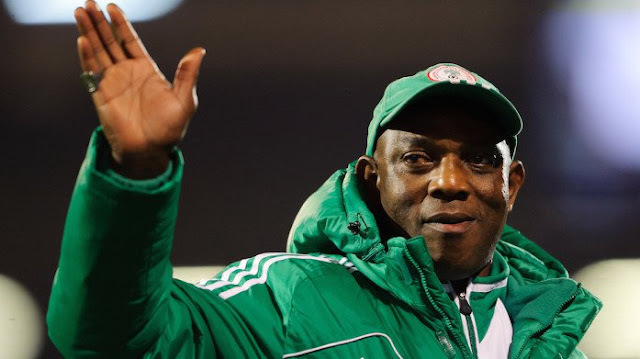 Nigerian football icon Stephen Okechukwu Chinedu Keshi died suddenly in the early hours of Wednesday in Benin City, Edo state. He was scheduled to return to the United States on Wednesday evening before he suffered cardiac arrest. The former international football player and coach had lost his wife of 35 years, Kate, last year after a prolonged battle with cancer. Newsmen confirmed his death from a member of his family as well as one of his close associates. Meanwhile, the family has released a statement announcing his death. The statement signed by Emmanuel Ado was titled: “Stephen Keshi CON has gone to be with his wife”. “With thanksgiving to God, the Ogbuenyi Fredrick Keshi family of Illah in Oshimili North Local Government Area of Delta State, announces the death of Mr. Stephen Okechukwu Chinedu Keshi,” Ado wrote. “Our son, brother, father, father-in-law,brother-in-law, has gone to be with his wife of 35 years (Nkem), Mrs. Kate Keshi, who passed on on the 9th December 2015. “Since her death, Keshi has been in mourning. He came back to Nigeria to be with her. He had planned to fly back today Wednesday, before he suffered a cardiac arrest. He has found rest.